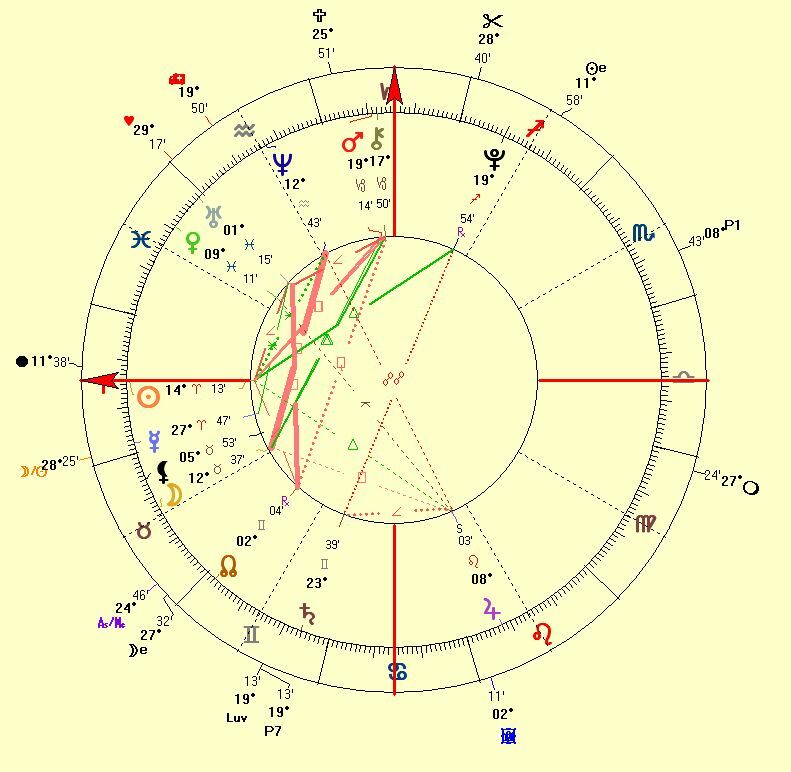 In this chart the Sun and Neptunue are in sextile aspect giving these corporations a vision and inspiration. Venus is quincunx (150°) Jupiter which makes generous and often wasteful too. This is an expansive aspect with a lot of expectations. Transiting Uranus will conjunct Venus in the chart (and make a quincunx to Jupiter). Both uDate.com and Kiss.com will see their membership (via Match.com) grow. In the years to come, transiting Pluto will make an exact trine to Mercury in the corporation chart, signifying power in the field of communication. Both online dating services will expand through Match.com.